With the motto “head, heart, hands, and health” that has given the global network of youth organization its name, 4-H is dedicated to its mission of engaging youth to reach their fullest potential in every area of life, including in the pursuit of scientific knowledge. With independently operating offices in over 50 countries around the world and 6.5 million members and 90,000 clubs in the United States alone, it is a major force in developing the potential of the young generations of the world. Each year, 4-H organizes the National Youth Science Day (NYSD), the world’s largest youth-led science experiment. During this day, thousands of youth take part in the National Science Challenge focusing on important STEM topics and issues. 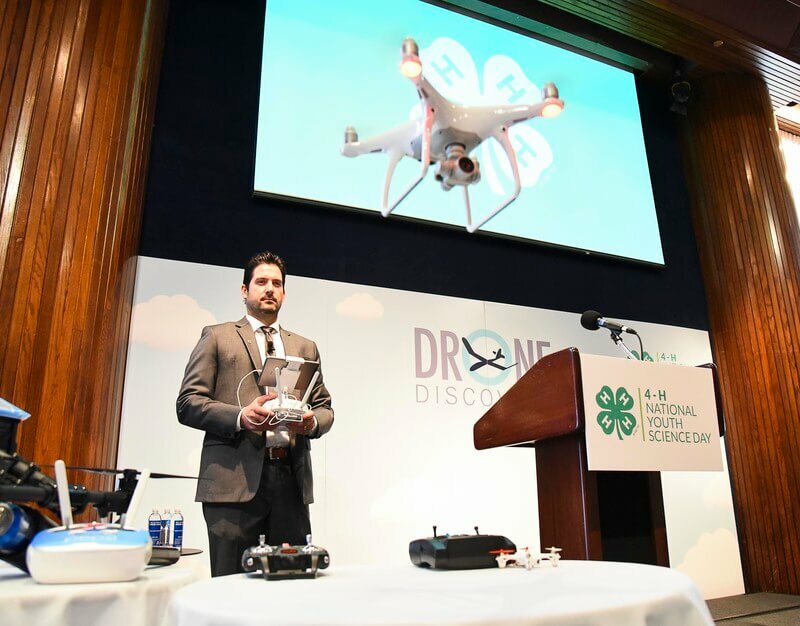 For the 2016 edition of NYSD, held on October 5th, DJI supported 4-H in organizing a drone-themed event titled Drone Discovery. Featured speakers joined in to tell stories about impact, inspiration and vision. Texas 4‑H STEM Ambassador Francisco Garcia shared his powerful story of perseverance and how 4‑H empowered him to grow , following which Kari Byron, host of the Discovery Channel's Myth Busters show, shared her passion for science and STEM education. DJI's VP of Policy, Brendan Schulman, was also present to give a talk on the importance of drones to nurture an interest in STEM education. "Drones are such an exciting way to get young people interested in learning about science, robotics, and aviation. 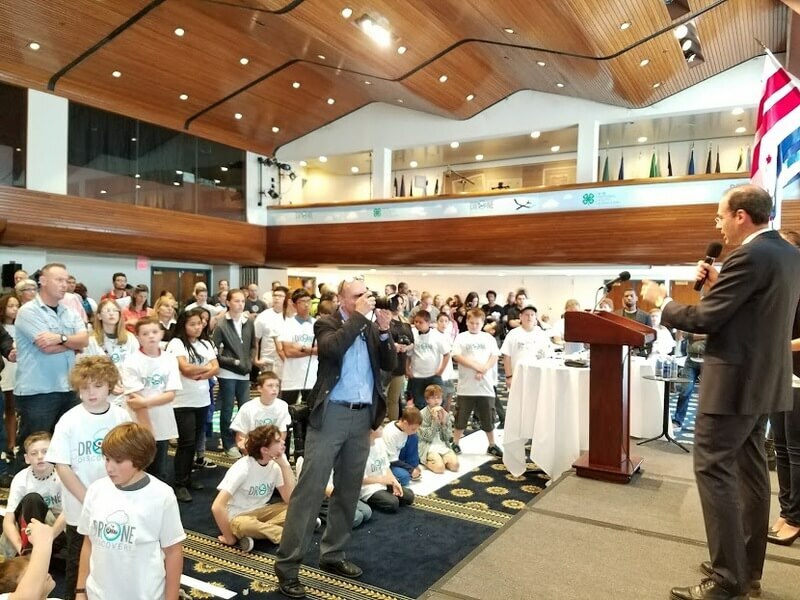 We are proud to support 4-H in these efforts not only to educate the nation's youth about technology, but in its mission to inspire the next generation of leaders." — Brendan Schulman, DJI's VP of Policy. Two special guests addressed the students during the event. U.S. Chief Technology Officer Megan Smith shared her perspective on the importance of providing STEM education and experiences to young people in America. Drone expert Brett Velicovich gave exciting demonstrations of his drones, along with giving away a few drones for the kids to take home. Inside the Drone Zone, DJI operated a booth for student and visitors to learn about DJI technology, and organized a hands-on challenge for students to explore the science behind drones and how this technology is being used to solve real-world problems, and learn about everything from flight dynamics, safety and regulations, remote sensing, and flight control. 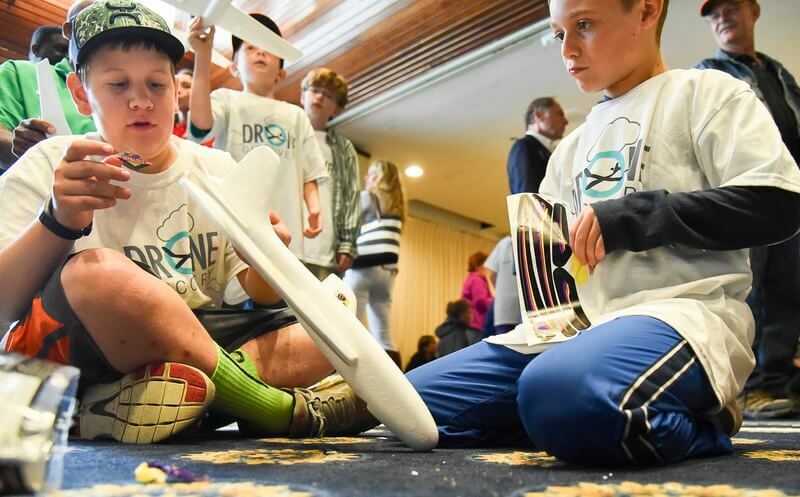 Participating in educational efforts like National Youth Science Day is integral to DJI's Global Citizenship program and our efforts in fostering an interest in science and to help educate tomorrow's leaders.